The title caught your attention? Good! It would seem at the beginning that this has nothing to do with set theory, but trust me and go on. This time I am going to talk about the Big Bang Theory. Yes, not the awe-inducing cosmological model for the early development of the universe, but the sitcom (notice the uppercase T?). What can I say about this sitcom that has never been said before? Extremely popular, it lures the nerds with tons of citations about science, science fiction and fantasy, but at the same time it ridiculizes them, but anyway less than other series in the past. The humour is predictable and comforting. Anyway, everybody agrees that, like all the TV series, with time it became less interesting, so I stopped seeing it. Oh, I'm working on my lesson plan for Wolowitz. He is going to be so lost. Look at this section over here. Even I don't really understand it. This is the famous proof by Gödel of the existence of God (better known as Gödel's ontological proof). Woah. I will leave you a moment to contemplate the magnificence of this discovery. No, no, no, what are you thinking? Militant atheists, don't think that Gödel was a crackpot (well, he was, but after that). Dawkins, you got it wrong (not for the first time)! And militant religious, don't go around saying that the existence of God is logical (gah). Why do you always have to fight? He didn't really proved the existence of God, in reality. 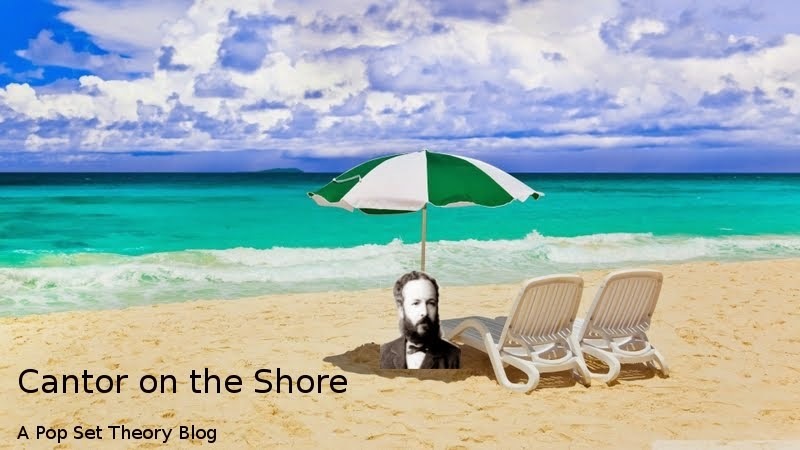 The right way to see it is as part of the history of philosophical logic. It was pretty common in the old days to try to prove the existence of God via logical arguments. Think Anselm of Canterbury, Descartes, guys like that. Gödel found logical mistakes in those arguments, and just rewrote them in the current logic language, i.e. modal logic, which distinguishes between necessary truths (something that must be true, no matter what) and contingent truths (something that is true, but just because, if it weren't true everybody would be chill). Nothing really new, then, and nothing real. It is just syntax, empty words, he was interested in the reasoning, not in its connections with reality. If this can be, then there exists an object with all the positive properties, i.e., God. That's it. All the details are in the Wikipedia link, it's pretty formal, but it is not difficult. He could have written "fairy" or "vegetable-y" instead of "positive", and "unicorn" or "carrot" instead of "God", and he would have proved the existence of a unicorn or of a carrot. 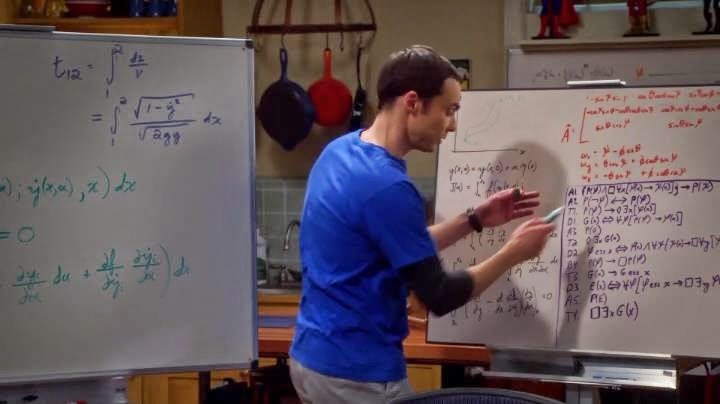 But look again at Sheldon's whiteboard! See, there are A1, A2 etc also there. I did it on purpose, what is written in the whiteboard correspond exactly to what I wrote here. Almost. There is a horrible mistake. But Sheldon! What did you write?! How can this be? You really didn't understand the proof. 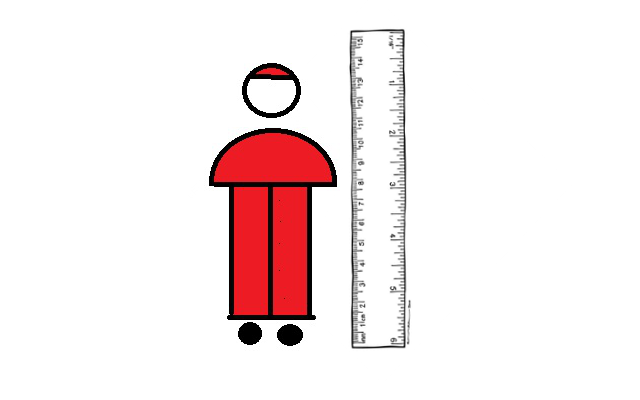 if there exists a measurable cardinal! Step aside, Pope. We did your job. Talking about solving unsolvable problems with large cardinals! Update: it turns out that Gödel hit a wall here. 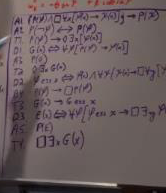 In 2013 someone managed to prove (with Artificial Intelligence, nonetheless!) that the hypothesis A1-A5 are actually contradictory taken all together, so Gödel proof it's just wrong. Alas, all this post for nothing. You want to build a measurable y yourself? Go here. You like to see discussions about infinity between theologians and set theorists? Then this page is just for you. Watch big bang theory putlockers online free. That being said, there is still room for growth. Sheldon's character, as portrayed by Jim Parsons, carries the series. This isn't a problem until his already eccentric mannerisms are exaggerated to the extreme. For example, when he makes echo-location noises in a theater to find the acoustically optimal seat, or constantly ties small infractions to "the downfall of civilized society" the character's believability is broken and the audience's intelligence is slightly insulted. It doesn't happen often, but when Sheldon or any of the 4 guys break character, you are reminded that this is just a TV show and the spell is broken. My second and only other complaint is the laugh track. Never before have I heard one so relentless and intrusive. This too insults viewer intelligence. The show has enough original and enjoyable content for the audience to decide on their own what is funny and what isn't. Watch 132 movies free very great! I have been living with the nerdiest of the nerds for years now at college. I can absolutely match people I know to the characters and mannerisms on the show, which makes it fun to watch in groups. For those that think these characters are completely fabricated, guess again! (You just don't see them that much because they rarely venture outside.) Overall I would have to rate this my favorite currently running show. Hopefully they are able to keep it intelligent and fresh without having to resort to unbelievable extremes.